The Alpha Bundle has arrived! 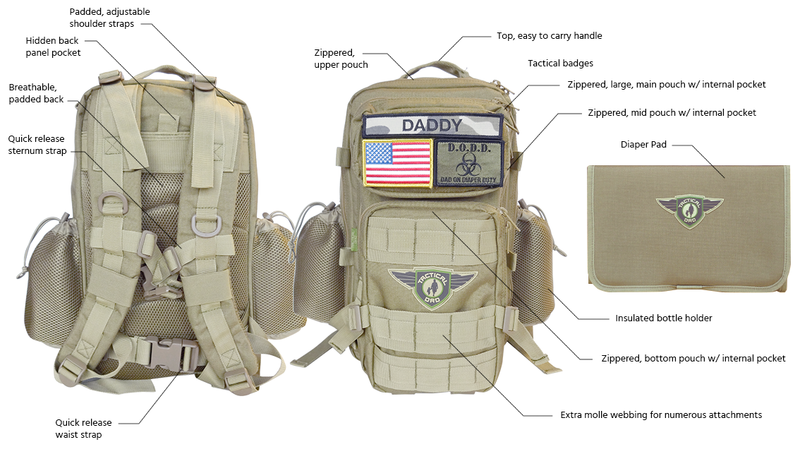 We've rounded up the best of Tactical Dad and put it into our all-new Alpha Bundle. You get all the essentials of The Ultimate Bundle but we're throwing our Undercover Hero T-shirt, Flexfit Hat and a patch of your choice in at a discounted price. Hit the ground running as a father with all the daddy gear you need to conquer any baby emergency. Please note the hat and tee ship separately.